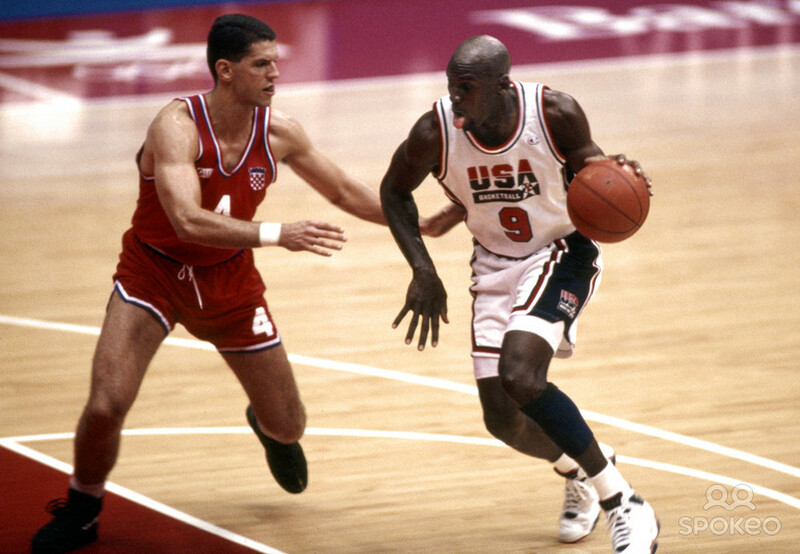 At the 1992 Barcelona Summer Olympic Games, the United States Men’s Basketball Team – coached by the late Chuck Daly – put on one of the finest, most dominating performances in Olympic team history. During its eight-game schedule, the U.S. squad, which featured 11 professional basketball players including Michael Jordan, Larry Bird and Magic Johnson, bested its competition by an average of 44 points per game. The country that stayed the closest to the U.S. men’s team, which was dubbed the “Dream Team,” was Croatia. Playing against the United States twice, in both an early round game as well as the championship finals, Croatia lost by 33 and 32 points, respectively. This lot features an official “Barcelona ’92 Olympic Games” Molten game-used basketball signed by the entire Croatian team. After establishing its independence in 1991, Croatia competed in its first official international tournament in the ’92 Summer Olympics. Led the outstanding play of star shooting guard Drazen Petrovic – who was killed tragically in an auto accident less than a year later in Bavaria at age 28 – the Croatian men’s team displayed its own brand of competitive ball by posting an 6-2 record overall. 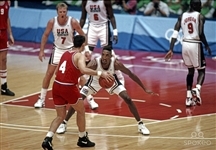 Teaming with fellow NBA players Toni Kukoc and Dino Radja, Petrovic led Croatia’s attack by averaging 24.6 points and 3.1 steals per game. A nail-biting, 75-74 win over the Unified Team – led by Petrovic’s game-high 28 points – in the Olympic semi-finals set the stage for a rematch with Team USA. The second time around, however, proved just as tough for the Croatians as seven different U.S. players scored in double figures. Although Petrovic and Radja led all scorers with 24 and 23 points, respectively, the more balanced attack by the Americans translated to a 117-85 U.S. victory. The basketball shows substantial game usage from the ’92 Olympic Games and boasts 15 signatures in black marker including all 12 team members. Important signatures include Radja, Kukoc and Petrovic, the latter who was inducted posthumously into the Naismith Memorial Basketball Hall of Fame in 2002. Ironically, as it turns out, when his untimely death occurred on June 7, 1993, Petrovic was playing for the New Jersey Nets, a team coached by the aforementioned Daly. Other notable signatures include Arijan Komezac, Alan Gregov, Vladan Alanovic and Stojko Vrankovic.